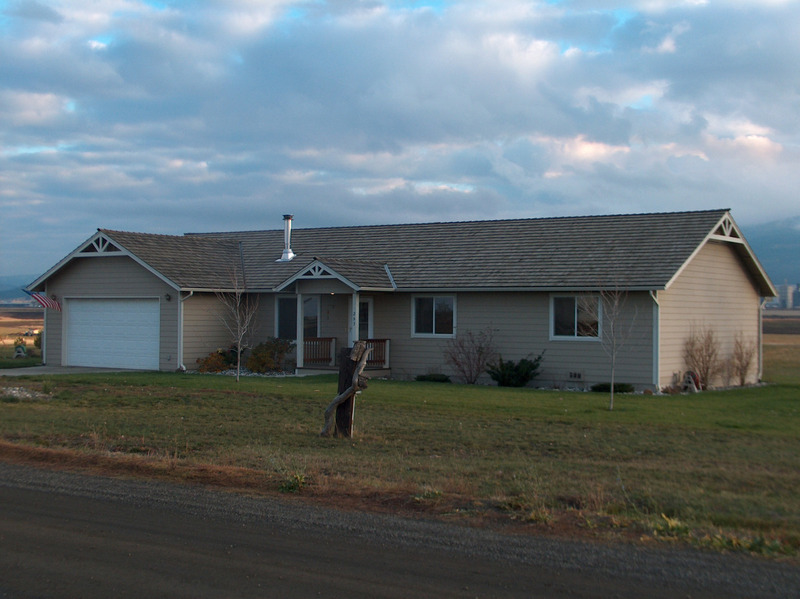 A beautiful newer custom made 3 bedroom, 2 bathroom rancher on nearly 4 acres, close to Grangeville, Idaho. This home has had only one owner. The house features blued knotty pine ceilings and walls throughout with wood interior doors. There is a river rock hearth with wood stove, as well as a Toyo oil stove. The windows have upscale wood blinds. There is an open kitchen with Formica counter tops. Semi enclosed hot tub deck with new 3 person Jacuzzi. Add pantry storage, and upgraded attic insulation by temper shield. Yard is nicely landscaped and partially chain link fenced for dogs. Has automatic sprinkler system plus drip system. Large garden area too, plus larger storage shed for wood and extras. Recently appraised over $20,000 above asking price. Priced at $214,900. 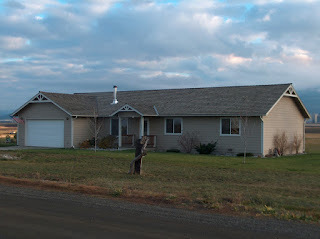 Contact All Around Realty at (208) 983-7878 for more information.